HE-N series high capacity relays from Panasonic can switch 120 A at 480 VAC in a simple, SPST configuration. 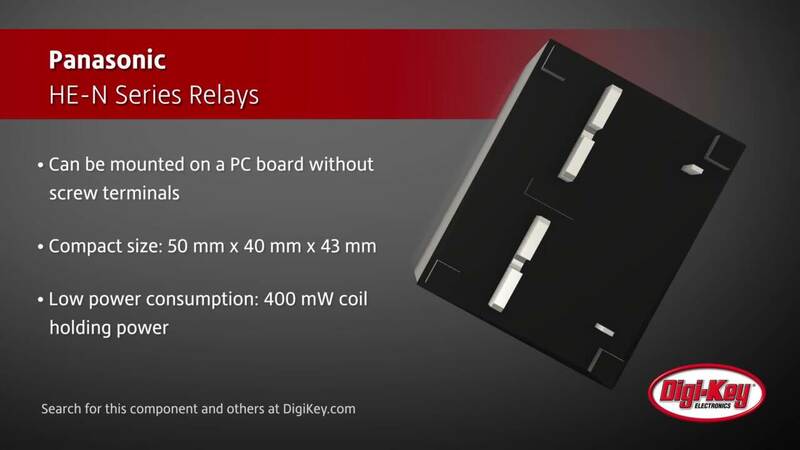 The HE-N relays have a 1 Form A (SPST-NO) contact arrangement and have a high switching capacity of 120 A at 480 VAC or 55 A at 800 VAC. MEAN WELL's UHP series power supplies are well-suited for applications in a variety of environments requiring small form factor and fanless operation. 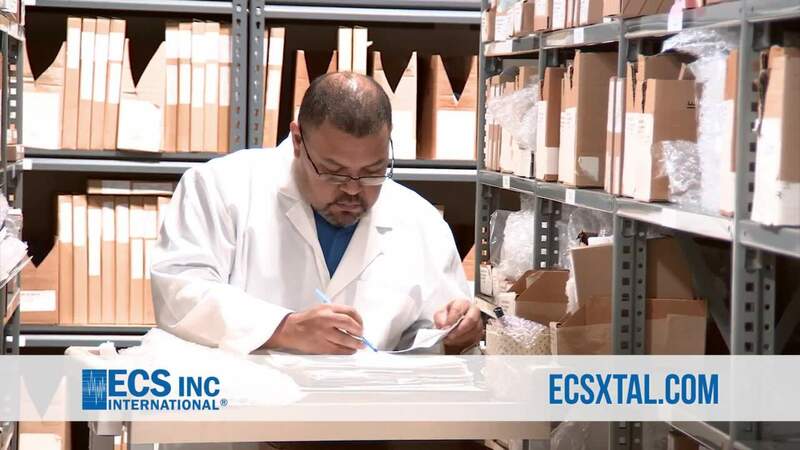 3M™ 588 thermal bonding film is a high strength, flexible, nitrile phenolic based thermosetting adhesive film that is a thicker version of the 583 film. Introduction to the features and proper operation of Phoenix Contact's SF-ASD 16 cordless torque screwdriver. Infineon's XDPL8221 highly integrated digital AC/DC controller combines quasi-resonant PFC and quasi-resonant flyback controller with primary side regulation. Developers need only power up an IoT development board to explore an end-to-end application securely connected from the IoT device to Google Cloud. ASSMANN WSW’s FFC cables provide low-profile and secure connections for applications that have multiple communication channels and high component density. Versalogic's low power Arm®-based i.MX6 Cortex®-A9 processor comes with soldered-on RAM, Gigabit Ethernet, Wi-Fi, Bluetooth®, and fanless operation. Diodes' DGD2003, DGD2005, and DGD2012 are 200 V gate driver ICs designed for driving two external N-channel MOSFETs in a half-bridge configuration. 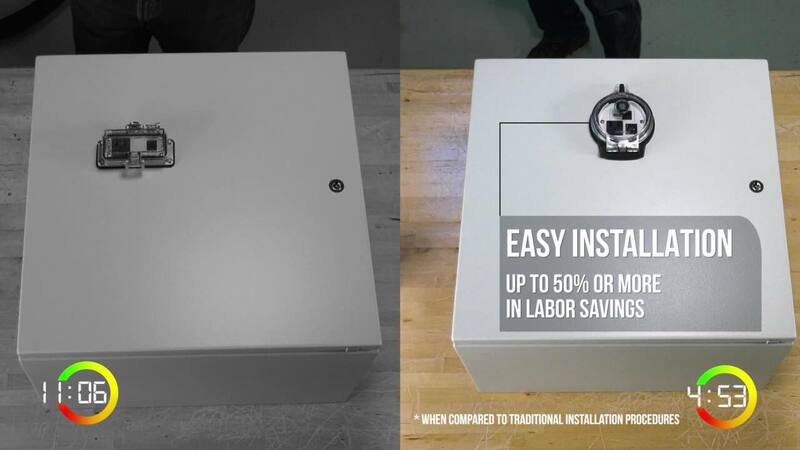 The Data Access Port provides data port and electrical outlet access to equipment without the safety hazards of opening the panel. Modern Business, host Mike Ditka will share the story of ECS Inc. and highlight our goals and vision for the future. The segment will focus on applications, trends and issues related to “Key Electronic Components Meeting Todays Industry Standards”. 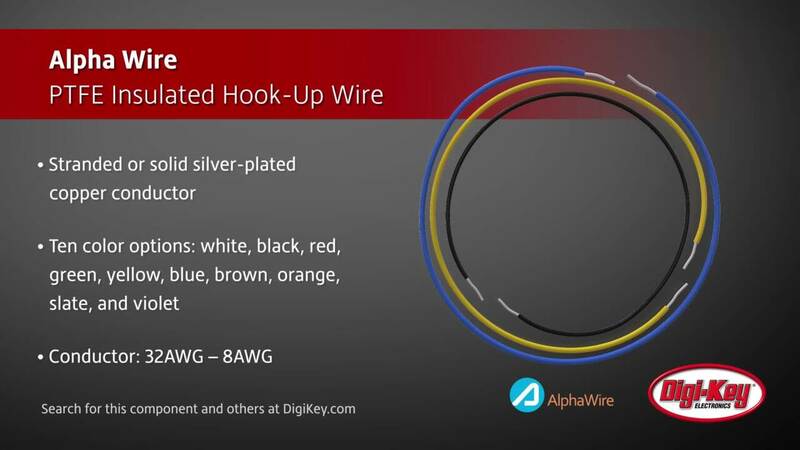 Alpha Wire’s broad range of PTFE hook-up wire means users will find the product exactly suited to their application. ROHM's SiC power modules combine SiC MOSFETs and SBDs into a standard industrial package that has low-stray inductance and low-switching losses. Infineon's XDPL8218 is a configurable single-stage SSR flyback controller with high power factor, standby power performance, and constant voltage output. How to build a low-power Bluetooth wireless clinical-grade digital thermometer to transmit body temperature to a mobile application over extended periods. NXP's Layerscape® LS1028A RDB is an ideal evaluation and development platform for various applications such as industrial gateways and control designs. Yageo’s SLR series of cement through-hole resistors provide an excellent flame, arc & moisture resistance with the ability to withstand a variety of environments. Wakefield-Vette's ulTIMiFlux™ fully cured dispensable gels require no mixing or curing, providing superior design flexibility. IoTize’s line of TapNLink products for Bluetooth and NFC communication is available to customers around the world from Digi-Key Electronics, a global electronic components distributor. Bud Industries’ DMB series plastic PC mount terminal boxes feature DIN rail mounting, snap-in multiple board capacity, and easy access to board terminals.